Rabbi Katy Z. Allen is a staff chaplain at the Brigham and Women's Hospital in Boston, and the founder and leader of Ma'yan Tikvah - A Wellspring of Hope, a congregation based in based in Wayland, Mass, that holds services outdoors all year round. Katy is the co-convener of the Jewish Climate Action Network, and is involved in interfaith climate-action work in Massachusetts. As a Nature Chaplain she provides spiritual outdoor opportunities for people of all faiths and all ages in the Metrowest Boston area, and she also is involved in interfaith work regarding the Israeli-Palestinian conflict. She received her rabbinic ordination from the Academy for Jewish Religion in Yonkers, N.Y. Rabbi Howard Cohen is a graduate of the Reconstructionist Rabbinical College. A former Aytzim board member, he most recently led Congregation Beth El in Bennington, Vt. In his rabbinical capacity, he has been a prison chaplain, fire-department chaplain, campus rabbi and wilderness guide/rabbi. Howard also has been a middle-school substitute teacher, firefighter, go-kart manager, and Outward Bound instructor for delinquent and at-risk teens. 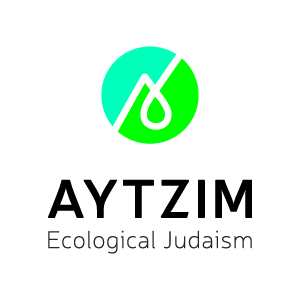 An Aytzim cofounder, Rabbi Michael Cohen is a longtime environmental activist who, while in high school, cofounded the first recycling center in Ewing, N.J., in 1976. He graduated with a bachelor's in history from the University of Vermont, where he also received the Paul Evans History Award for his honors paper, “Lenin’s Theory of Self-Determination and the Muslims of the Soviet Union.” In 1990 he graduated from the Reconstructionist Rabbinical College and become the first full-time rabbi of the Israel Congregation in Manchester Center, Vt. Since 2000, he has divided his time between Vermont and Kibbutz Ketura, Israel. He has written extensively about the environment and the Middle East peace process in North American and Middle Eastern publications. Michael is also the author of "Einstein’s Rabbi: A Tale of Science and the Soul." Cantor Jack Chomsky has served at Tifereth Israel in Columbus, Ohio, since 1982. He is a graduate of Brown University and the Cantors Institute of the Jewish Theological Seminary. A baritone, he is an accomplished song interpreter. He has been involved in every facet of Jewish music-making throughout the Columbus Jewish community and has helped plan and implement many community musical and cultural events, including coordination of the social-action programming of the congregation. Jack is cofounder and director of KOLEINU, the Jewish Community Chorus of Columbus, and has been a leading activist in social justice and interfaith programs in central Ohio. He is a founding member of We Believe Ohio, and president of B.R.E.A.D. (Building Responsibility, Equality And Dignity), a local community-action organization. Jack is also past-president of the Cantors Assembly. Rabbi Robin Damsky is the rabbi of West Suburban Temple Har Zion in River Forest, Ill. She was ordained in 2006 by the Ziegler School of the University of Judaism in Los Angeles, now American Jewish University. Robin co-authored "Find, Fulfill, Flourish," an inspiring book of stories with guidance and practical tools for leading a fulfilling and purpose-guided life. Her background includes serving as a teacher, counselor and administrator at synagogues in Southern California and Camp Ramah in Ojai, Calif., as well as teaching Hebrew high school, religious school and day school in Rhode Island, New York and California. Rabbi Ruth Gais was ordained by Hebrew Union College-Jewish Institute of Religion after many years as a professor and teacher of Classical Archaeology, Greek and Latin. She was the director of the NY Kollel, the Center for Adult Jewish Studies at HUC-JIR, from 2000 to 2007. She is the rabbi of Chavurat Lamdeinu, an independent small congregation in Summit, N.J., where she also serves as a board-certified chaplain and supervisor of chaplain interns at Overlook Medical Center. An environmentalist before she knew what that word meant, Ruth is a GreenFaith Fellow and serves on the City of Summit Environmental Commission Board. Rabbi Elihu Gevirtz is co-spiritual leader of Zimrat Yah, a newly forming spiritual community in Santa Barbara, Calif. Elihu was ordained by the Academy for Jewish Religion — California in 2012. His prayer poems have been published in the book "Jewish Men Pray," and his rabbinic writings have been published in the Los Angeles Jewish Journal and the Santa Barbara Independent. He has been invited to speak and testify in favor of labeling of genetically modified organisms in food. He has worked as a botanist, wildlife biologist and land-use planner for the past 25 years. Elihu presently works for a large consulting company conducting surveys for endangered species, restoring wildlife habitat and evaluating the environmental impacts of proposed land uses. Rabbi Michael Goldman has been the assistant rabbi of Temple Israel Center in White Plains, N.Y., since 2010. During rabbinical school, he pursued training as a pastoral counselor, working with AIDS and Huntington's patients and with the elderly with severe dementia. He also served at Camp Ramah – Ukraine and a program in Eastern Europe through the American Jewish World Service. After receiving ordination and a master's in 2005, he became the rabbi for Jewish life and Jewish chaplain at Duke University. Rabbi Amy Levin is the interim rabbi of Congregation Beth Shalom in Pittsburgh. She served her last congregation, Temple Torat Yisrael of East Greenwich, Rhode Island, for 10 years. Amy grew up in New Jersey and worked as the education director of a collaborative Hebrew high school program for three Conservative congregations in New Jersey before making aliyah in 1981. Amy was the second woman to be ordained by the Schechter Institute of Jewish Studies, the rabbinic seminary of the Israeli Masorti (Conservative) movement, and she served as a congregational rabbi in Jerusalem. From 2008 through 2012, Amy served as a mentor for senior rabbinical students at the Jewish Theological Seminary in New York who are fellows of the Legacy Heritage Rabbinic Fellows Program. Amy is a member of the Rabbinical Assembly’s Committee on Jewish Law and Standards. She has also served on the boards of Aytzim and Rhode Island Interfaith Power and Light. Rabbi Nathan Martin serves as the director of student life at the Reconstructionist Rabbinical College. He has had a long-term interest in combining environmental sustainability into his rabbinate and he is a GreenFaith Fellow. Before working as a rabbi, Nathan worked as a researcher for Lawrence Berkeley National Laboratory, where he focused on energy efficiency in the U.S. industrial sector. Rabbi Jonathan Wittenberg was born in Glasgow, Scotland, and attended University College School in London and King’s College Cambridge, specializing in classical and modern languages. After two years of teaching and doing social work in Israel and England, he completed a postgraduate certificate in education at Goldsmith's College, London. He trained for the rabbinate at Leo Baeck College London, receiving ordination in 1987, and continued his studies to gain a further rabbinic qualification from his teacher, Dr. Aryeh Strikovsky in Israel. Since then he has worked as rabbi of the New North London Synagogue and has taken a leading role in the development of the Masorti Movement for traditional non-fundamentalist Judaism in England. He is currently a member of the chaplaincy team at Great Ormond Street Children's Hospital. He is deeply engaged in Jewish-Christian and Jewish-Muslim interfaith dialogue. He lectures widely and writes frequently for the Jewish and interfaith press. His publications include: "The Three Pillars of Judaism: A Search for Faith And Values" and "The Eternal Journey: Meditations on the Jewish Year."